It is very important when filing a claim for unemployment benefits that you make sure you are on an official state web site. Customers have reported visiting sites such as UnemploymentBenefits.us and unemployment.info where they were fooled into giving personal and financial information or were actually charged fees. You will NEVER be charged a fee to file your claim for unemployment benefits. The only site in New Mexico to file for benefits is www.jobs.state.nm.us . We suggest you do NOT do an internet search for unemployment benefits. Many of the top search results are NOT real sites to file your claim. If a site asks you for credit card information or attempts to sign you up for a kit for finding government grants or other such services, know that this did not originate with the New Mexico Department of Workforce Solutions. If you do give credit card information you may have rights to cancel the transaction. Contact your credit card company immediately for details. The New Mexico Department of Workforce Solutions may occasionally send emails to communicate issues about the use and availability of our website to customers and to provide general information on the Unemployment Insurance program. unemployment benefits by email or text message. If you receive an email or text message and you are unsure if it came from the Department of Workforce Solutions, contact the Unemployment Insurance Operations Center at 1-877-664-6984. Please be aware that we strive to verify that all employers on this system are legitimate organizations. However, you should be cautious about any communications you receive offering you a job or mentioning that the sender viewed your resume online. Be cautious and NEVER send anyone money that has offered you work of any kind. Even if they have recently sent you a check which you deposited, the check could be a fake. Please contact us if you do receive correspondence from a scam employer so we can take appropriate action immediately. 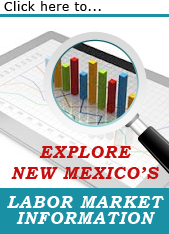 Find your local New Mexico Workforce Connection Center.